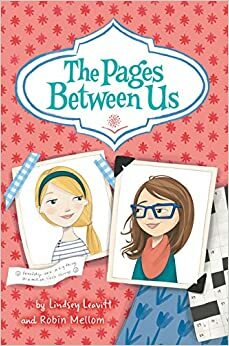 Summary: Best friends Olivia and Piper are disappointed to discover they have only one sixth grade class together. To keep each other updated, and to avoid the detection of passing notes, they create a notebook in which they write to each other, then hand it off between classes. They’re perfectly happy with their friendship until Piper’s mother offers to give her a birthday party (a rare event for the third of five children), and she realizes she needs to make some more friends. The two girls start sampling the after-school clubs. Some are a lot more fun than expected, some a total disaster. Each girl finds her niche, and there is some friction when they turn out to be different niches. Drama threatens on the day of the big party, but all is resolved, and true friendship wins the day. 288 pages; ages 8-12. Pros: A sweet story of friendship, told in an enjoyable style, mostly through the notebook letters, but also with some texts, flyers, and other memorabilia. Cons: Not a lot of action, and the girls’ voices at times sound like middle-aged women trying to write like 11-year-olds. Summary: Gus and Ida are polar bears who live in a park in the middle of a huge city. Every day the play, swim, and eat together. Ida can’t see, but she tells Gus that she doesn’t have to see the city to feel it. At night, each bear goes to his or her own cave to sleep. Every day is the same until one morning when Ida doesn’t come out of her cave. Sonya the zookeeper tells Gus that Ida is sick and she isn’t going to get better. Gus and Ida still have some time together. Some days Ida can play, but other days she has to rest. Each night before sleeping, the two bears tell each other they will miss the other one. Finally, one morning, with Gus at her side, Ida passes away. Gus continues to enjoy each day, but never forgets his good friend. 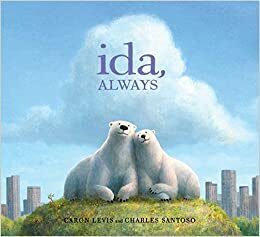 A brief author’s note tells of the real Ida and Gus who lived in New York City’s Central Park Zoo. 40 pages; ages 4-8. Pros: A beautiful story of love and loss, exploring terminal illness and death in a way that will be accessible to preschoolers and early elementary age readers. Cons: Good luck reading this one out loud. Keep the Kleenexes handy. Summary: An introduction to bioluminescence, showing a variety of glowing animals on a background of black pages with white text. 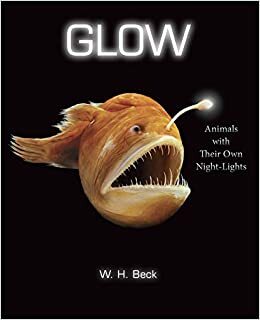 The “how” of bioluminescence is very briefly described, as well as a variety of reasons why animals glow. An author’s note explains that some photos have been enlarged and that some are a bit blurry due to the difficulties of photographing animals deep in the ocean. Thumbnail photos and descriptions of all the animals are included on the last two pages. 32 pages; ages 4-7. 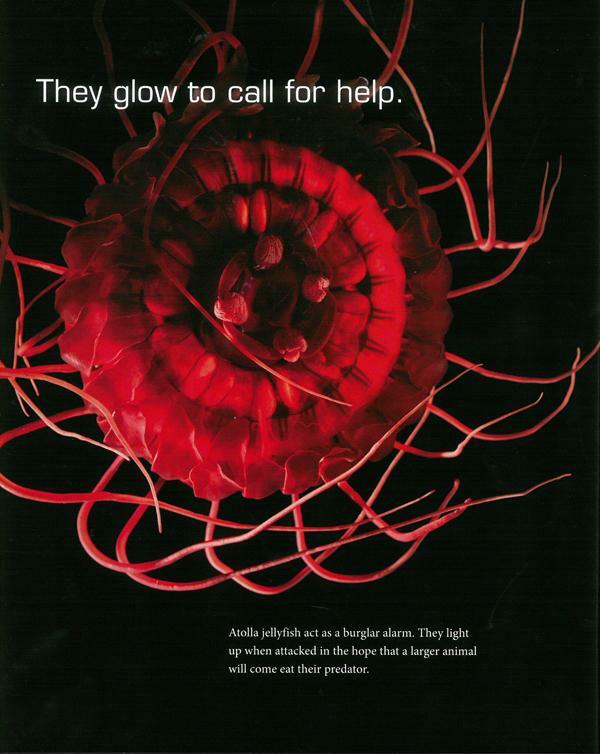 Pros: Bioluminescence is very cool! 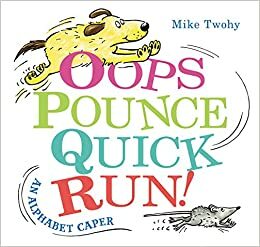 The photos are eye-catching and the text is simple enough for young children. Cons: The explanation of why animals glow is very brief. Summary: Young Bruce Wayne is looking forward to starting school at the prestigious Ducard Academy, but right from the first day, everyone seems incredibly mean, even the teachers. He does manage to befriend two kids who are having similar struggles, a boy named Clark Kent and a girl named Diana Prince. Together, they try to investigate the dark secrets of their new school and who is behind them. The story is told through comics, letters, journal entries, school forms, and texts. With the school mystery solved by the end, Bruce’s mention of an upcoming camp visit hints at a sequel. 176 pages; ages 8-12. 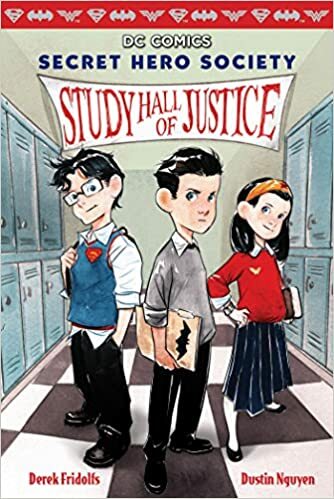 Pros: Reluctant readers will flock to this book about the young Batman, Superman, and Wonder Woman. The variety of formats (graphic novel, letters, texts, etc.) makes it an interesting and fast-paced read. Cons: The story was a little more complex than I was expecting, and the different types of text could make it a bit confusing. 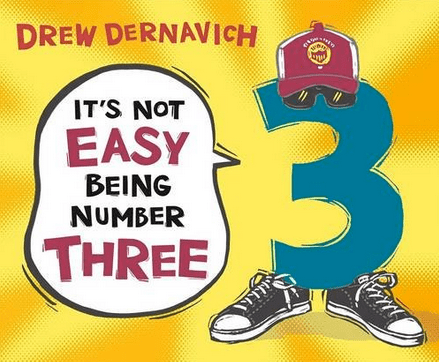 Summary: When 3 decides there’s more to life than being a number, he goes off in search of a new career. He tries a great many options, including being the humps of a camel and the toes of an elephant. Deciding he prefers people to animals, he tries being a shoelace and the rim of some glasses. An anchor? A rake? An airplane’s steering wheel? 3 tries them all before finally settling for getting bronzed and becoming a statue in the park. At first, he is admired and appreciated, but gradually people stop coming to see him, and he realizes it’s time to move on. In the spring he heads for the fair, but learns it’s not opening this year. With no 3, there can be no triple scoops of ice cream, three-legged races, or music (“A one, and a two, and a….”). 3 finally realizes his rightful place is with the numbers, and 1, 2, 4, 5, 6, 7, 8, and 9 are all more than happy to welcome him back. 40 pages; ages 3-7. 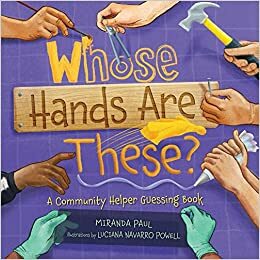 Pros: A fun introduction to the importance of numbers in everyday life, as well as a bit of an I Spy, as kids will enjoy seeing where 3 is hiding in many of the illustrations. Cons: Be prepared for giggles as both a pigeon and a dog cover the statue of number 3 with numbers 1 and 2.